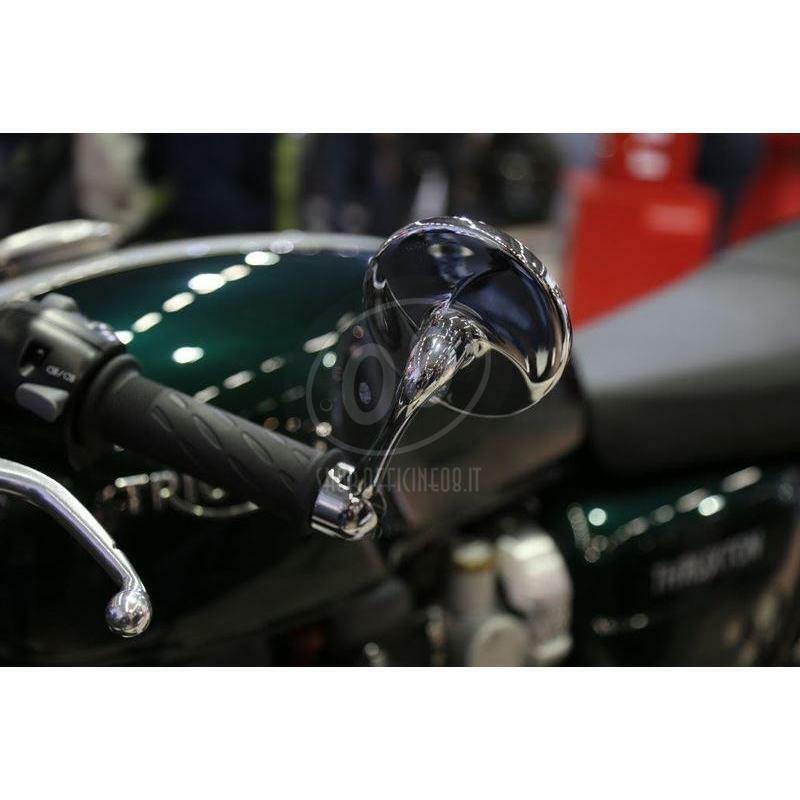 Highsider Classic handlebar end rear-view mirror: classic style, compact shape and a modern design to give a unique look to your motorcycle. 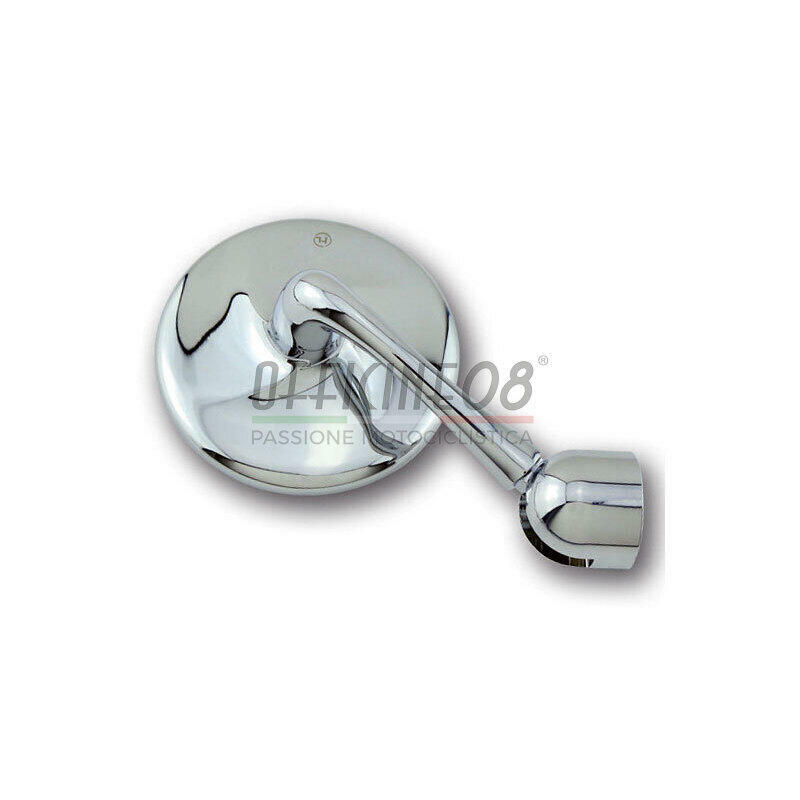 Wonderful finish with an embossed stylized propeller at the back of the head give an extraordinary shape and make this mirror perfect for your custom motorcycle. Highsider mirror series combine always an individual design with an aerodynamic function: that’s all-round visibility in a perfect way. 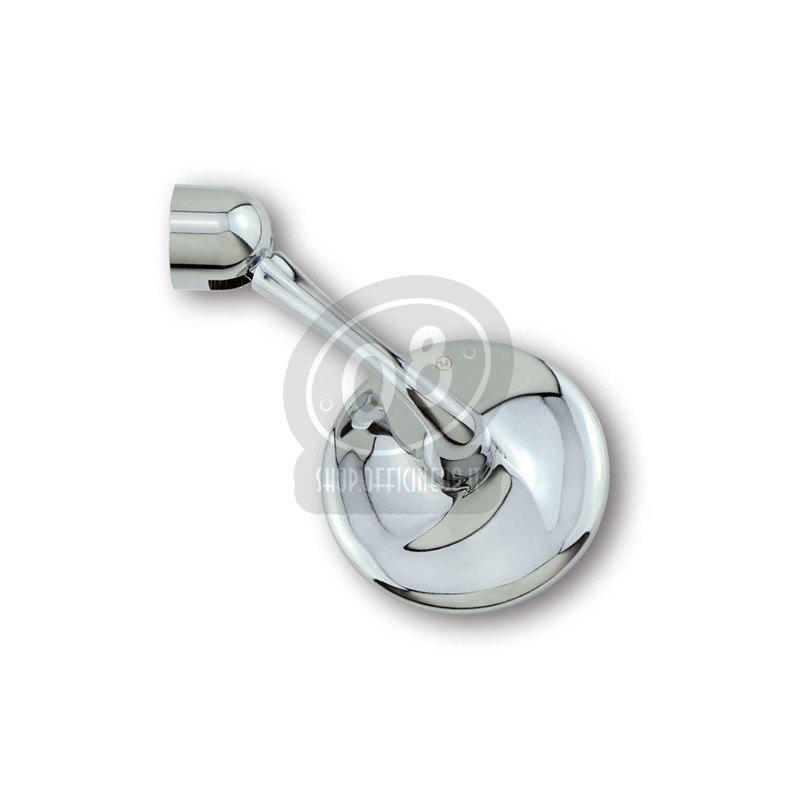 Handlebar end mirror in a classic style with a head made of mirror chromed aluminium for universal usage. 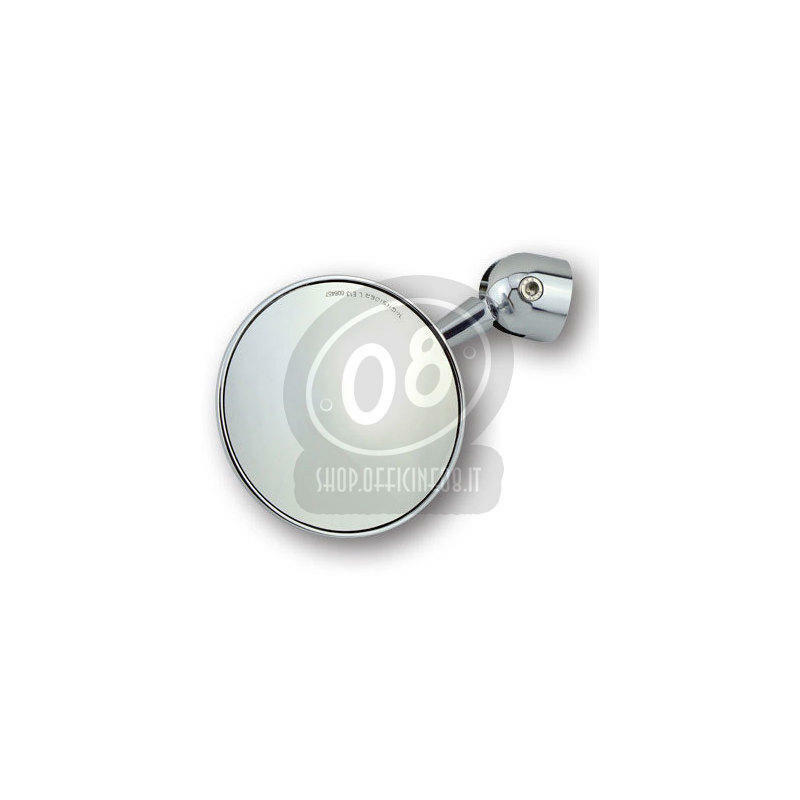 Complete with adapters to fit on handlebars with internal diameter from 12 to 22mm that is for most aluminum or steel handlebars with a diameter of 7/8 and 1'': this rearview mirror can be installed both on the left side and right side of the motorcycle. With European Homologation. Tip: to close the holes of the not used handlebar mirrors, use the CNC cap for M10 mirror thread (160-314). È necessario acquistare adattatori per manubri in acciaio da 25mm? No non è necessario, gli adattatori compresi nella confezione le permettono di fissare gli specchietti anche su manubri da 25.4mm.